Live auctions are a blast, but sometimes you just can't make it to the auction. 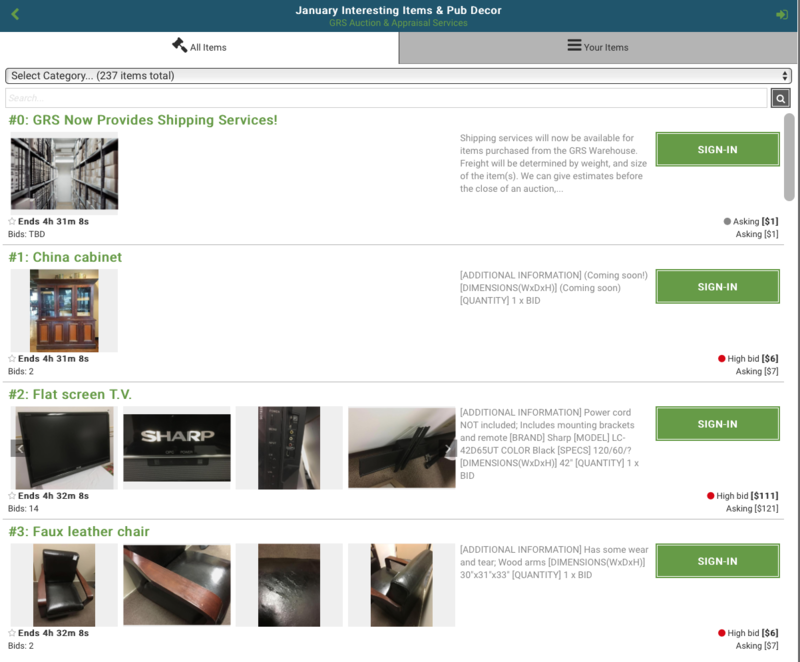 That's where the incredible world of online auctions comes in, being able to bid on anything, anywhere in the world! Sometimes though, bidding at an online auction can be confusing. Hopefully we can help you save money and learn how to be the high bidder! In the same fashion as a live auction, you will need to register as a bidder. This process is super simple. 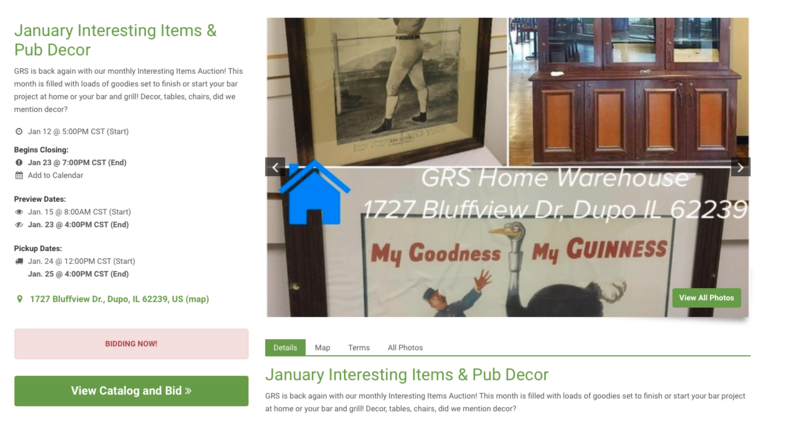 Simply browse to our site: www.grsauctions.com, and find an auction you would like to bid on. You will be directed to the auction catalog page, where all the magic happens! Next, you will click on the "Sign In" button. This will take you to the "Sign In" page. From here, you will want to click where it says "Don't have an account? Sign up". The "Sign Up" form will guide you through the process, where you will put your contact information in as well as your card information. 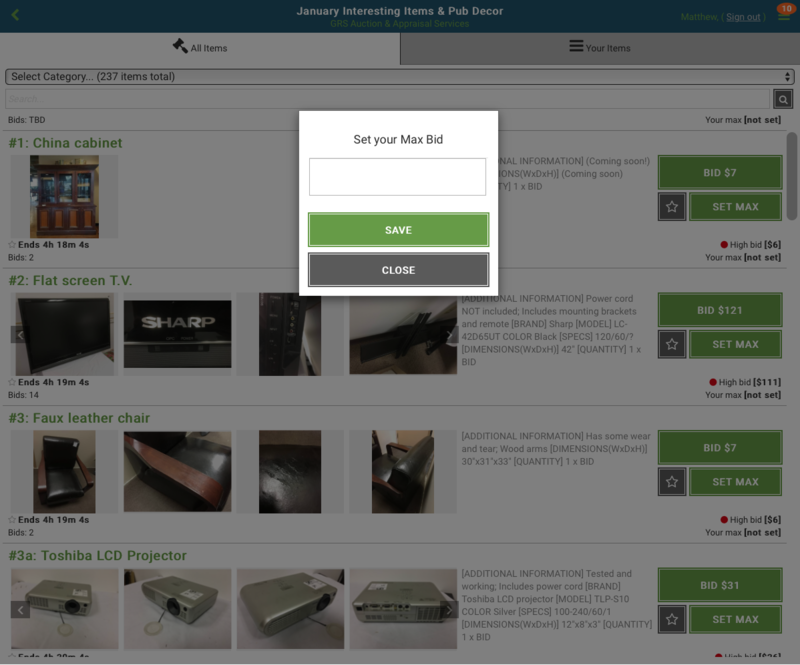 Now, you are all free to bid, and are registered for every auction that is online. Now that you are all registered, it's time to start bidding! This process is incredibly easy, and our platform allows you to take advantage of your mobile device by installing our app for iOS or Android; for total bidding mobility! Let's say you want this flat screen TV. How do you do it? Easy! 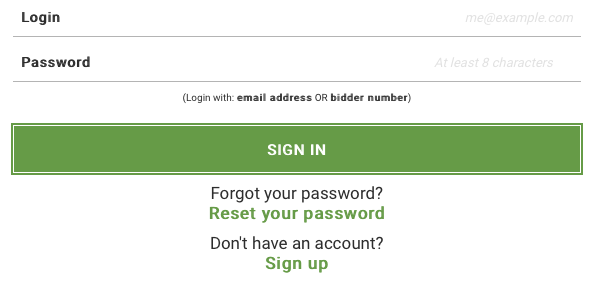 Just click the big green "Bid "$x" button! That locks your bid in. If you immediately are outbid, that simply means that someone has set a "Maxbid" higher than the current bid. A "Maxbid" allows you to place a robo-bid. Say the TV is now at 121 dollars, and you are willing to spend 200 dollars maximum on it. 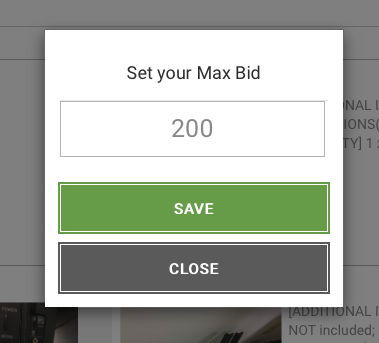 Just click the "Set Max" button, type 200, and the GRS bidding platform will place those bids for you, on each bid increment. See something you want yet? Who are we kidding, how have you not?! With all the interesting stuff we have for auction, there really is something for everyone. But wait, you want to see it in person first, like anyone would. This is why GRS hosts auction previews, just like in a live auction. Generally, previews will be scheduled a week to a day before an auction closes, and will run from 10am-2pm, unless it is on-site at the GRS Warehouse, where you will be able to preview from the auction going online until the day it closes, 8am-4pm. You will find information on the location and the preview times/dates for individual auctions on the auction's page, which can be found under the main site, or "Current Auctions". The auction is now closed, and you have won several items. Since your card is already on file with us, it will be charged the morning after the auction closes at 10-11am. If you want to purchase your items with cash, or need to use a different card, please give us a call the morning after the auction closes, before cards are charged. This will give us time to ensure you are paid up. Upon receival of your invoice, you will notice the bottom says "Unpaid". Don't let this alarm you! We email our invoices before cards are chargred to give you an opportunity to pay in cash or dispute any issues. As well as your items that you won and the balance due, your invoice will state the location for pickup time and location. This information is also available on the main site, or individual auction pages, along with the preview information. 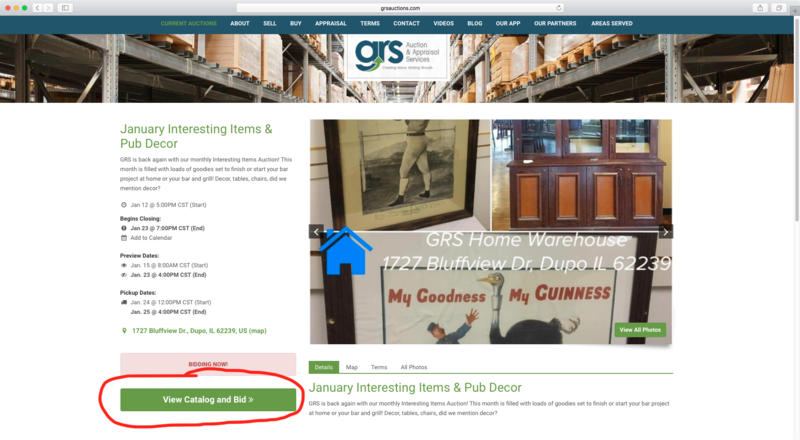 For pickups at the GRS Warehouse, we allow up to 3 days for pickups after the last day of auction pickup before we begin storage charges, at $10 per day the items are left on site. After 10 business days, items will be considered abandoned. For off-site pickups, not at the GRS Warehouse, you are limited only to the time that is stated on the invoice and auction page, due to time constrictions. If you are unable to pick your items up, GRS does provide "Bring-Backs" as well as "Shipping Services". Both of these will depend heavily on the specific auction and the items involved, so please give us a call for an estimate.